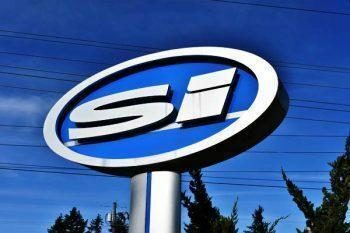 Looking For a Car Mechanic to Help With Your Car In Gresham? With over 40 years in the industry, Steve’s Imports is an auto repair shop with experience that’s simply hard to beat. European, Japanese, our team is ready to get under the hood of any import and make it road-ready again. Though we can’t always recommend it, you might decide to take your car elsewhere. Don’t get us wrong, there are some comparable professionals in the area, but they are few and far between, and can be hard to uncover for the average car owner. If you’re dealing with a new mechanic, here 3 questions always worth asking. 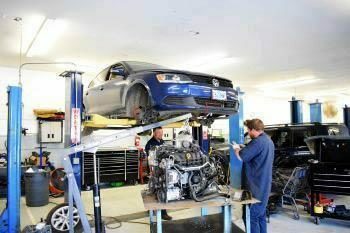 The National Institue for Automotive Service Excellence (ASE) is the premier training program for car mechanics. In other words, this is the institution that provides the highest standard of auto mechanic training in the country. Virtually every reputable auto repair shop employs only ASE-Certified techs, so if you come across one that doesn’t – that’s a red flag in our book. All of the technicians of Steve’s Imports are not only car lovers, they are ASE-trained in all of the industry best practices and bring that expertise to every vehicle they work on. Do you work on these cars often? Every car mechanic thinks they’re good enough to understand – and work on – any kind of vehicle. Unfortunately, that’s not always the case. While we can appreciate a new challenge as much as anyone, we think it’s only right to work on cars that we really know. While we’d love to work on every vehicle, if we feel our expertise won’t be of much help compared to another shop, we’ll let you know upfront. We strive for excellence and 100% customer satisfaction, which means if we can’t do a perfect job, we’ll throw in the towel. Most of the time, however, that doesn’t need to happen, because our techs are the best in town. Is work covered by warranty and backed by a guarantee? Because we want all of our customers to leave our shop feeling great about their service, Steve’s Imports backs all its work with a full guarantee and only uses the best parts that are also covered under warranty. If you find a shop that tells you “you’re on your own,” try somewhere else. In case you were wondering, the answer to all three of the above questions should be a resounding “yes.” Not only should the labor be performed by ASE-Certified techs, ideally the shop should be completely familiar with your specific vehicle and stand behind their work with a guarantee. 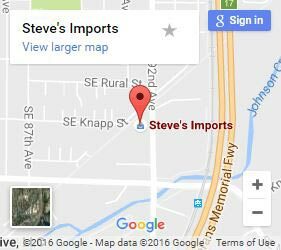 The team at Steve’s Imports encourages questions and always appreciates dialogue with our customers. And with over 40 years of making cars and customers happy, it’s pretty hard to surprise our guys. If you need the best auto repair shop in Gresham, come over to Steve’s Imports today.